EverQuest rights holder Daybreak Game Company given its blessing to the wonderful Project 1999. EverQuest: Project 1999 is one of those lovely ideas that it are all too often crushed by the realities of the games industry. An entirely fan-managed affair, it provides an emulated version of the classic EverQuest experience, which is no longer officially supported. With Sony Online Entertainment sold off and renamed Daybreak, the EverQuest license came under renewed scrutiny, and there were concerns that we’d see the project shut down. Instead, project leaders and Daybreak have come to an agreement ensuring the emulation can live on. 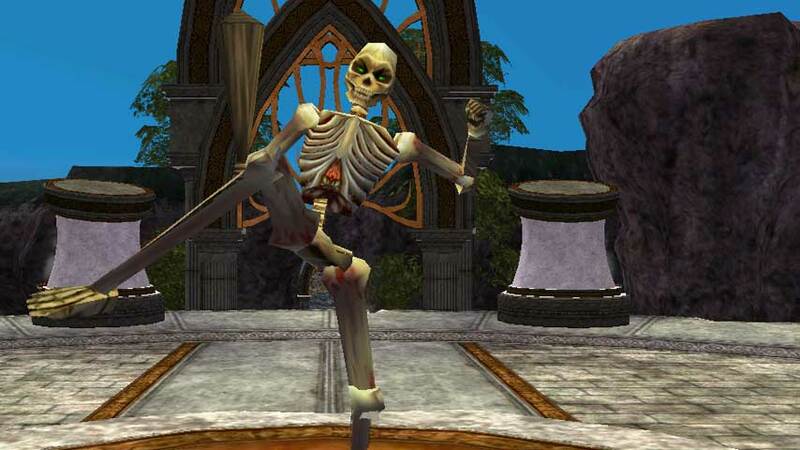 “We have recently entered into a written agreement with Daybreak Game Company LLC that formally recognizes Project 1999 as a fan based, not-for-profit, classic EverQuest emulation project,” co-manager Sean “Rogean” Norton wrote on the Project 1999 forums. “The agreement establishes the guidelines that we as a project must follow, but it will allow to us continue to update the game without risk of legal repercussions. The P99 team has elected to reschedule its next expansion release to avoid conflicts with Daybreak’s activities, “as a show of good faith”. “We’re proud that the EverQuest community is one of the most passionate and engaged groups of players in the gaming world. We’re glad we were able to reach an agreement with the team behind the fan-based, not-for-profit emulation project as they continue to share their love of EQ with many,” Daybreak said in a statement on the EverQuest website.